Earlier today, we reported that production has wrapped on Star Wars: Episode VII, with the cast and crew getting together for a massive wrap party over the weekend. More photos have surfaced from that party, which give us a better look at R2D2. Classic Star Wars reveals that it was actually a "screen-used" R2D2 that was present at the party, and as you can see in the photos, the droid is clearly showing signs of wear and tear, especially when you compare R2D2's condition in the photos below, with our first look at the droid back in November 2013, when he became the first confirmed cast member. 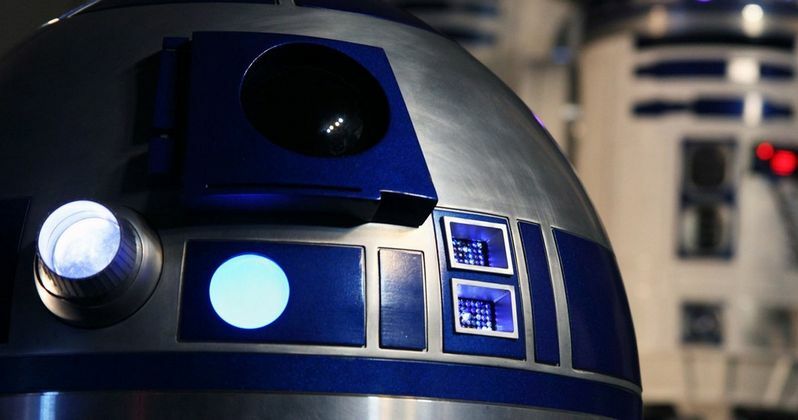 Of course, we don't have many details about how R2D2 will be used in the story, and it isn't known if R2D2 and his longtime companion C-3PO will be back for Star Wars: Episode VIII and Star Wars: Episode IX. Take a look at the photos from last night's wrap party, along with the November 2013 photo where R2D2 is seen alongside director J.J. Abrams and producer Kathleen Kennedy.